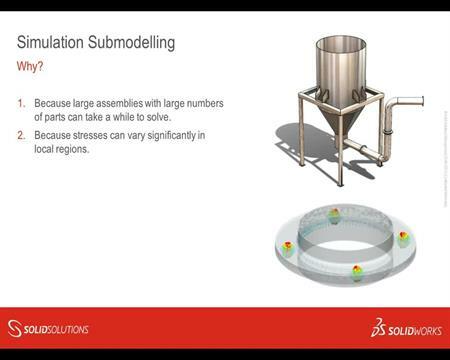 Submodelling provides a quick and easy way to zoom in on a component of interest. It creates a sub-study which uses displacement results of a parent-study, but isolates the component you need to focus on. By throwing away the rest of the assembly we can use finer meshes to get very accurate results without raising the solution time. 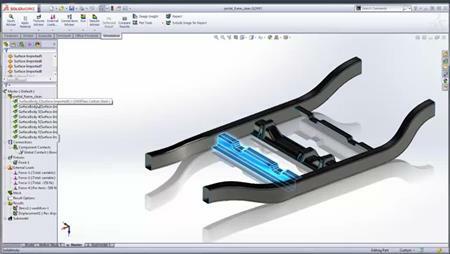 In this webcast are going to use Submodelling to predict whether a lifting hook is strong enough to carry the design weight.